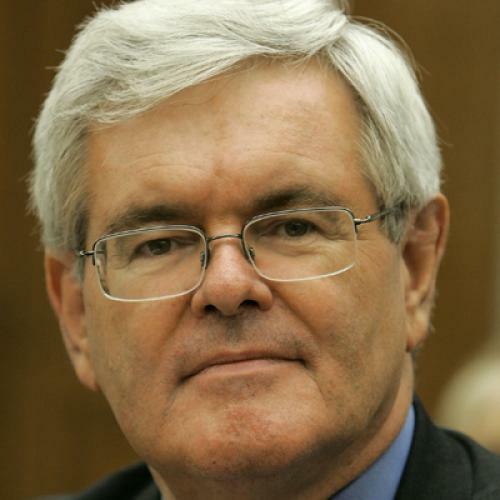 An Open Letter to Ex-Professor Newt. Forgive the slightly formal mode of address. I know all the best people nowadays--phone salesmen, talk-show hosts, politicians--prefer a mode of instant intimacy, but I still find it hard to make bosom buddies out of people I don't know. There is also the matter of academic courtesy. You were once a professor. I still am. This is, in a manner of speaking, an academic letter. According to an article in The New York Times, you were inspired in your youth by Arnold Toynbee and Isaac Asimov but have as your "guide du jour" my study of the Hellenistic Age, Alexander to Actium. "And so you look at America," you're quoted as asserting, "and you say, domestically we are running a real risk of the Greek problem of decaying from real citizenship into a passive bread and circus model, and you say in terms of the world order, how is it we should function?" My first reaction to your reading of my work was--excuse me? Not that I am the first scholar whose work you have interpreted in creative ways. Though the Times did not make clear which Toynbee and Asimov selections you admired, I felt pretty sure that you hadn't sought guidance from Toynbee's investigations of Hannibal or Asimov's less-than-familial limericks. The two works that these pundits had, very loosely, in common were Toynbee's massive ten-volume A Study of History and Asimov's early science-fiction Foundation trilogy, both of which went in for Spenglerian doom-and-gloom prophecies about the decline of the West. In your book To Renew America you told us that A Study of History convinced you that "failure to respond effectively could mean the end of your civilization in a remarkably short period of time," not an exactly earthshaking realization; for his part, Asimov sharpened your taste for psycho-history and predictions of mass behavior. Ifind it odd that anyone who spent time as a professional historian should have been so dazzled by Toynbee, whose historical tendentiousness academic critics such as Pieter Geyl and Hugh Trevor-Roper demolished with lethal zest and whose philosophy was one of theological and defeatist obscurantism. As Trevor-Roper wrote, "Toynbee detests Western civilisation because it is basically liberal and rational." Was it this animosity, perhaps, that caught your youthful fancy? After all, many a good young historian has been betrayed by unacknowledged (and often unconscious) gut prejudices, and to judge by your 1971 Tulane dissertation, on Belgian education policy in the Congo between 1945 and 1960, you were as good as they come. Those who have grown used to your recent corncob style would be astonished to find you, in dissertation mode, presenting conclusions based on exhaustive bilingual research in the Belgian archives (Sir Roger Casement's famous report is cited only in its French translation: tres chic, ia) and writing them up in elegant prose. They would be all the more astonished by the substance of some of those conclusions. "Belgian colonialism was in fact a model of technocratic government," you start off, but any expectation of whitewash is premature. Economically, you are in J.K. Galbraith country: capital investment comes off second to education, which you promote as a prime priority. You are as outraged as anyone by Leopold's Congo policies and offer penetrating analysis of the special-interests triumvirate--big business, the Church, government bureaucracy--that continued to run the Congo for its own benefit even after Leopold's personal fiefdom was dissolved. Your conclusion, you will recall, is that in the Congo, "The dream of technocratic planning had all too many hidden limitations and so became a nightmare." Now I don't find any difficulty in relating the boy with a passion for Toynbee's puritanical pessimism to your emotional rant today about the right to bear arms, getting big government off our backs and the rest of it. But I do wonder how to square this persona with that of the idealistic young scholar who wrote your dissertation. And despite the free publicity you've given my book, I have to ask myself how, as a historian, you can get its message so wrong. What you were after, clearly, was a model, an awful warning, to stimulate civic involvement (in itself an excellent thing). This participation, you seem to imagine, would render leftist-style government interventions unnecessary. You saw that I drew disquieting parallels between the Hellenistic Age and our own, that I talked about political impotence in the individual and authoritarianism in government, and figured you had a new-style Decline of the West on your hands. But you completely missed the real lesson behind these parallels. It didn't worry you that some of the most prominent symptoms of this decline emanate from your own neck of the political woods--religious fundamentalism, science perverted for military ends and "systematic extortion in pursuit of the plutocratic dream" (we all know who the chief beneficiaries of a flat income tax would be). Whoever the villains of the Hellenistic Age may have been, they were certainly not die-hard liberal democrats determined to subject the populace to ruinously expensive welfare schemes. Like too many Americans, I suspect--this is the old unregenerate European in me speaking--that despite your historical training you find it almost impossible to conceive that degree of stony, callous indifference to human suffering that characterized ancient society. The world I investigated in Alexander to Actium had no insurance, anesthetics or official public welfare. Children were regularly put out to die in the woods; stability, not growth, was the ideal; and no one had any real notion of reinvestment. Small resemblance to the modern world there, and we can count our blessings. Business activities, on the other hand, went unregulated to a degree that makes modern free enterprise look positively dirigiste by comparison. The price-gouging carried out by the grain-merchants' cartels of the ancient world has an uncomfortably modern air about it and, in a world where the bearing of arms was taken for granted, prompted a sequence of virtually nonstop wars. Rulers used such conflicts to good effect, since booty provided a popular way to raise revenue. You suppose that because many Hellenistic individuals felt powerless, their dilemma must have mirrored that of your theoretical American citizen complaining, amid the cushioned horrors of Social Security, Medicare, etc., that true civic involvement is almost lost, that the interference and wastefulness of central government is taking all upright decent folk (i.e., rich and successful conservatives) to hell in the proverbial handbasket. In fact the only real resemblance is that rulers in the Hellenistic period were even less concerned with the plight of the poor and homeless than you are today. Whether under Ptolemaic control or in an independent city-state, the survival of the fittest was no metaphor, but the ugly and literal truth. Never mind that bread-and-circuses was a Roman concept, or that the only time when anyone in power gave a damn about the populace was when it threatened to riot: I find myself wondering just how, in detail, you draw the parallel between the citizen body of the USA, probably the most physically and politically pampered group in all world history, and those who were either vigorously exploited by corrupt officials in outlying provinces or ground up in what Louis MacNeice once called "the eternal faction and reaction of the city-state." They had something real to complain about, and precious little prospect of redress. I suspect that when you talk about "reforming the great bureaucracies" you vaguely equate conditions in Ptolemaic Alexandria with the problems of Washington, D.C. Not so, my friend. Human life in the third century B.C. was nasty, brutish and short in a way that would have made even Hobbes blink. It embodied the natural consequence of that pure laissez-faireism which seems one of your most cherished dreams. Let me end on an ironic note. You've come a long way since your days as a young Tulane doctoral candidate, when you understood the paramount importance of backing educational development. Indeed, your virulent assault on the more obvious weaknesses of the university system sounds almost as though it had some personal basis (you spent eight years or so as an assistant professor at West Georgia College: Did the question of tenure ever come up, I wonder?). Presumably your current denigration of bodies such as the NEH is calculated, among other things, to win you cheap kudos with those philistines and fundamentalists who can't hear the word "humanism" without blowing off like Jeremiah. But it might give you pause to know that I was able to complete the crucial final draft of Alexander to Actium--which required freedom from other obligations--only because I won an NEH senior fellowship. I have to ask you, Dr. Gingrich: Would you rather possess that book (never mind your misunderstanding of it) or earn possible votes by making a bonfire of the NEH? Because you can't have it both ways, now can you?